Styled with hilary jogger . 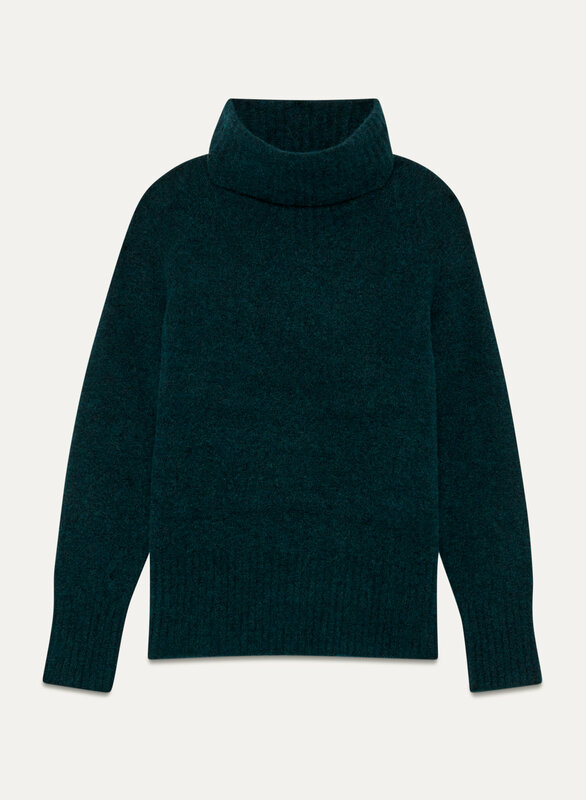 Knit from an Italian alpaca-merino wool blend, this turtleneck has a boxy silhouette with drapey, relaxed fit. 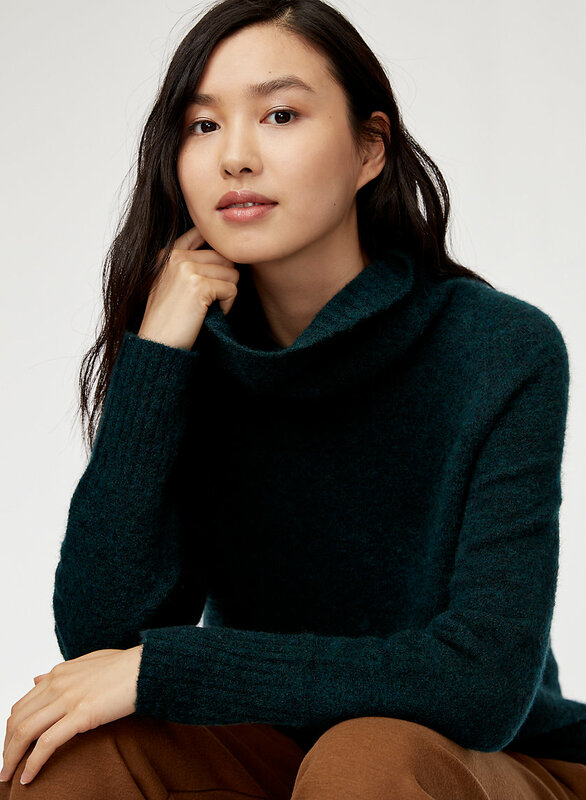 The fine alpaca fibers lend softness, while the wool is super cozy and warm. This sweater is so soft. It fits slightly oversized so I sized down and there’s still room to spare. If you like the oversized look then go with your normal size. 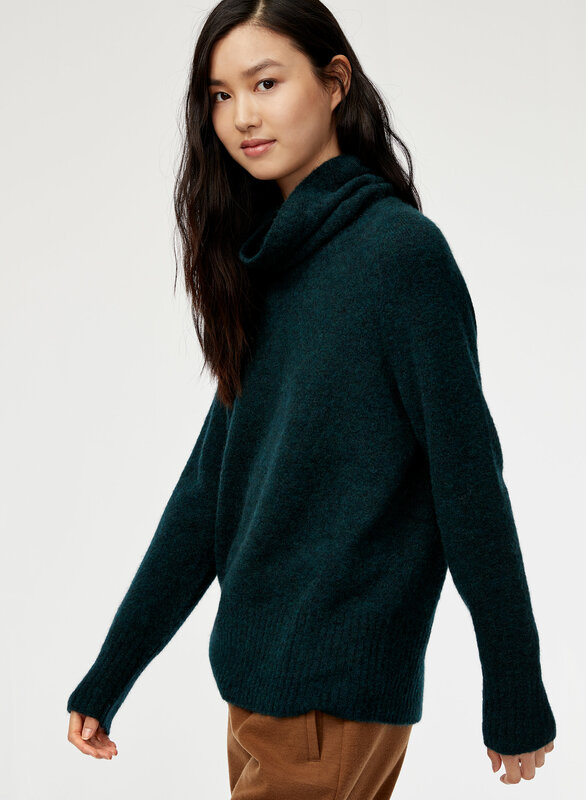 This sweater also sheds a bit but it’s not too much to put me off this sweater. I would get other colours in the future. 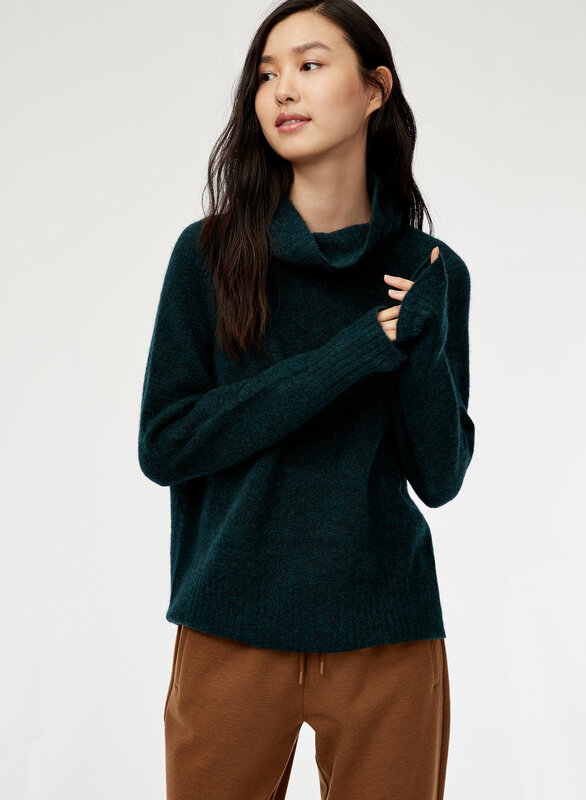 I love these so much I own 5 colours in varying knit compositions. 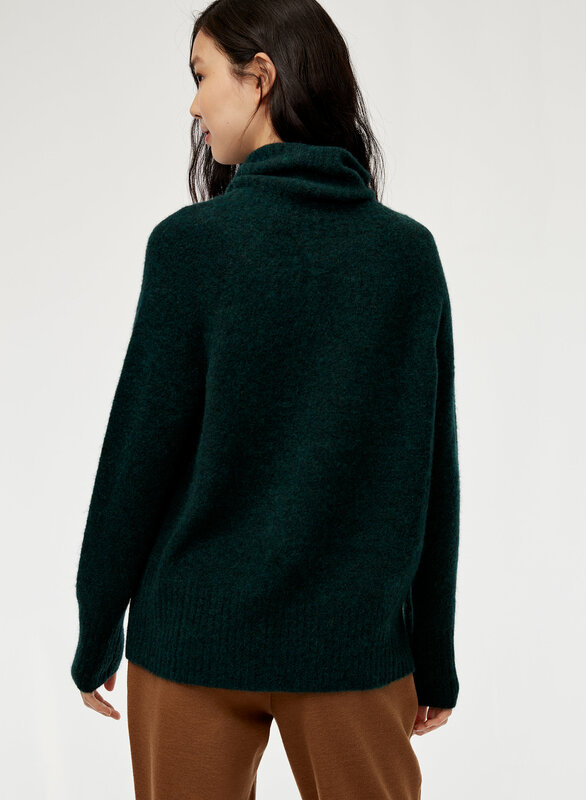 The most versatile are the "yak" wool versions, but the newer Alpaca blends are super cozy too - not too itchy (wear a t-shirt underneath if your skin is sensitive). They are great with leggings or jeans and the colours are rich enough to look a bit dressed up on a winter day. They are not too fitted or too oversized - size up if you want that look. Make sure you dry clean even if the care label says cold wash. They WILL shrink a lot if you wash....I learned the hard way. lovely, warm beautiful color, true to size, would recommend to anyone who loves to be wrapped in comfort.